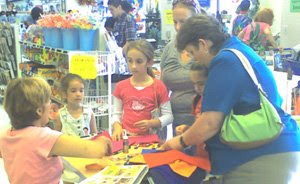 Thanks to all who came out last Saturday to Beverly's Kids Can event. 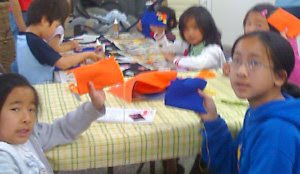 This week's project was felted purses. 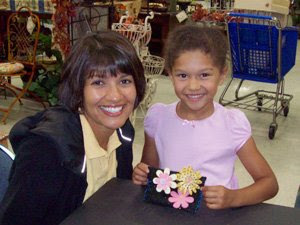 Didn't get a chance to come by for the event, but still want to make a felted purse? Check out our "how to" for this and other projects at www.beverlys.com. Annie & Sydney at our Monterey store! 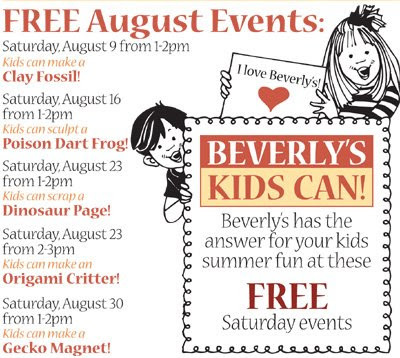 August Classes at Beverlys in San Diego!